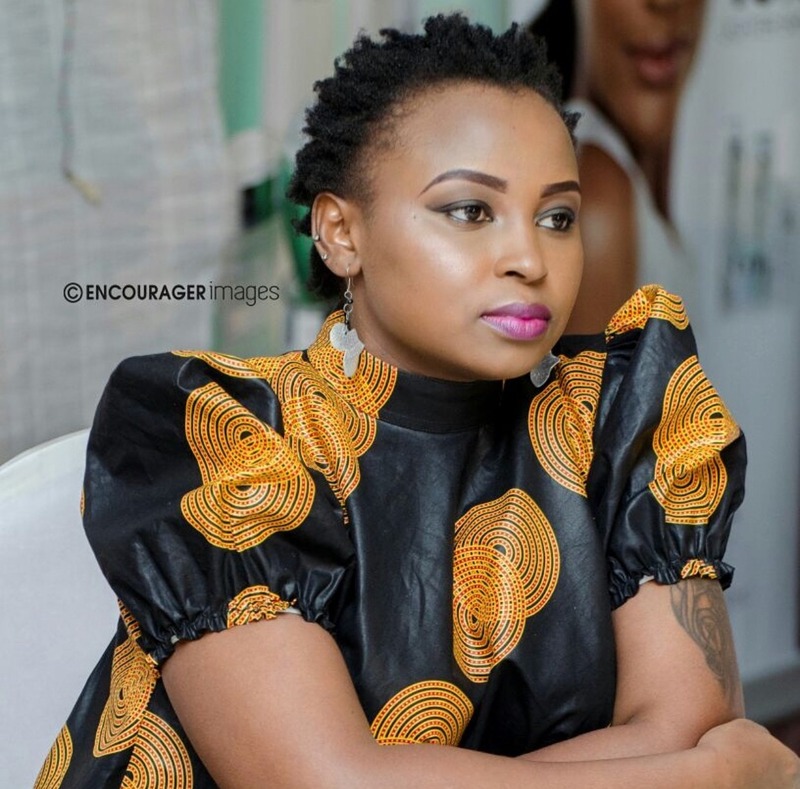 Beatrice Ndung’u is a public relations and branding expert having a clientele base of politicians which includes presidents, companies that have grown massively from her creative strategies and celebrities who have gained endorsement deals through her proposals. She is also a founder of a non – profit organization Young Media Foundation, an organization she started in her early twenties. Her work in her communities most especially children affected with cancer has allowed her recognition and hence receiving several accolades including the Pan – African award on youth empowerment & community building. Read her story below to find out more about her work & motivation. 1. You started your online magazine at the age of 19 wow!! What inspired you to start your business at such a young age? I always wanted to own a media house from the time I was a teenager. I wanted to have a TV and radio station, an advertising and branding agency, and be the top speaker in the world. I was a dreamer, but deep down I knew it would come to be. My first business was the online magazine. I saw the need to tell the story of Africa and the rest of the world through digital media. I am blessed by God to be futuristic and to think of ideas before they come into place. I was one of the first people in Kenya to start an online magazine and it was an amazing experience because it was my first brain child that later brewed other ideas that came into being over the years. From an iPad, a laptop or a mobile phone, I saw the need for readers to have access to every story they want, without problems of space or weight. 2. Over the years in business you have succeeded and received several awards including the Pan African humanitarian award on youth empowerment and community building. What motivates you to keep working hard despite your level of success and why? I will always answer this question by saying that my motivation comes from seeing people succeed. My motivation comes from people saying that it’s because of Beatrice I did not give up. My motivation comes from seeing young people looking up to me. My motivation comes from knowing that I have not yet reached where I want to be so I have to work harder. 3. Your clientele base includes people in government, celebrities, companies etc. How do you go about creating such long lasting partnerships? By listening and understanding the need of the client. By putting myself in the shoes of my client. By executing a strategy as if it were my own. And mostly by team work and forging friendships that grow into referrals. 4. For people that are building their careers or companies, what branding strategies should they start implementing most especially on social media? A brand is more than a business. It’s a public perception that adds value. Building a brand and maintaining a brand both require planning and execution. Know your clients’ needs better than anyone else. Plan your marketing strategy, prioritize, and stick to your plan. Fuel the strategy with a culture that reflects your brand position. Translate these into all branding and communication activities. A brand is the summation of customers’ experience over time of what it means to them. It is more than what the company says. It is what people say about the company, products or services. 5. As a company owner, there is no doubt you receive numerous CVs from people seeking employment, what are some of the common mistakes you have seen so far and what are your thoughts on this? I do not read CVs. People act when they come for interviews, then after they get the job, they become the real them. I prefer seeing the real person. I want to see whether the person can seal a deal, I want to see if the person is relatable to people around them, I want to see if the person is who they are on social media. CVs are important, but there’s more to it than just reading a CV. I stopped reading CVs because people don’t know how to write proper CVs to this day. It’s only once or twice that I have seen a CV that was creative and could pull me to read it. It all starts with the reference, is it creative enough to make me want to read your CV? 6. You have an NGO which focuses on airing voices of the youth and helping children with cancer (amazing!). What projects is your team currently working on and what do you have lined up for the next 2 -3 years? At the moment we are working on an SDG project by the United Nations. Apart from that, my charity is more focused on 3 things: ART THERAPY for children affected with cancer, BRICKS FOR SCHOOL for the children who have no classes. Together with the community we create halls that can be partitioned into classes and MENTOR, every young person needs a mentor, we provide mentors. 7. How can a young person in Africa take their business off the ground in 2018? It’s important to spend time investing in researching, defining, and building your brand. Creating strong Branding means initiating a strong and positive bond between the business and the clients. Branding brings a vision to the clients, which, help them to remember the company and the products, and services it is dealing with.